When Mahendra Singh Dhoni was batting against Delhi Capitals in Delhi on Tuesday, he had a special supporter on the Feroz Shah Kotla stands. 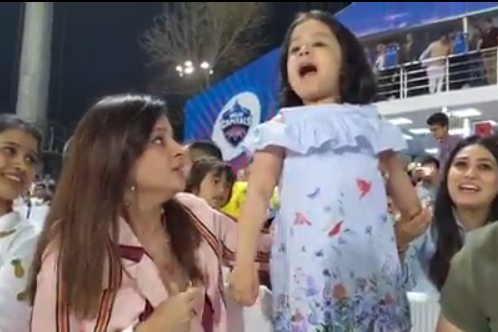 Dhoni's adorable little daughter Ziva and his wife Sakshi were cheering loudly for Chennai Super Kings. Dhoni's team defeated Delhi by six wickets to go atop in the points table. 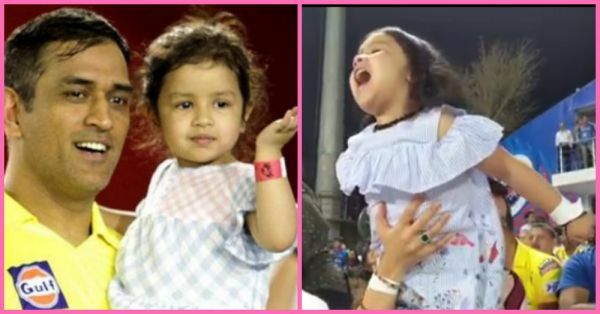 From being his biggest fan on the stands to hugging him before and after all his matches, Ziva and doting daddy Dhoni have shared the most endearing moments on and off the field. Maahi's Instagram feed is full of pictures and videos with his angel. 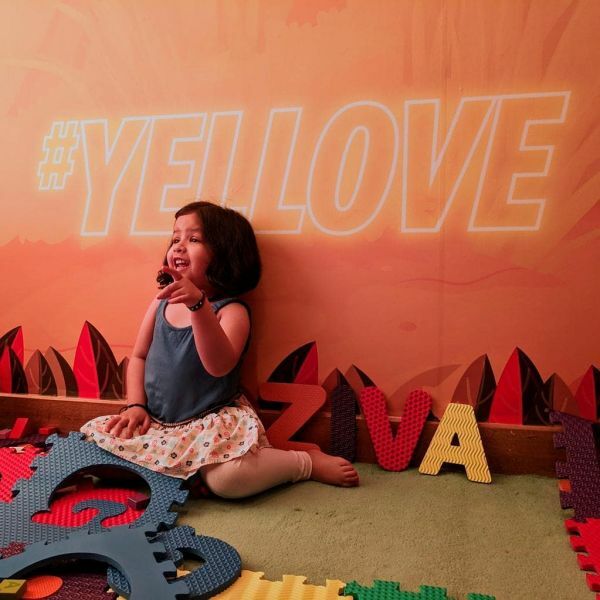 Recently, daddy Dhoni shared a video where he is asking Ziva 'How are you?' in six different languages, and her responses had the internet collectively go, 'aww'. Chennai Super Kings captured the moment of the four-year-old cheering her daddy dearest! With support like this, no wonder CSK had such a glorious victory. Ziva was seen shouting "Paaaapaaaa, come on Papa!" at the top of her lungs while someone in the audience said, "Papa will win it today." How delightful does little Ziva look? We definitely cannot stop watching the little cub roaring for 'the Man in Yellow'. Initially, while playing, Dhoni was cautious in his approach. However, in the end, it was happy hunting for Dhoni and Chennai Super Kings as they defeated Delhi Capitals by 6 wickets. "The wicket turned more than expected in the first innings. In the second innings, there was enough dew to make it slightly better for the batsmen. The bowlers did a very good job to restrict them to 150. The batsmen, we like a bit of pace, and like it to come onto the bat. We look a slightly better side when that happens. We were unsure about the Chennai wicket whether it will spin or be on the slower side," said Dhoni after the match.